He just did Boheniam Rhapsody dude. Because she was busy squatting, duh. This will likely be explained in her movie. Most likely only deals with galactic threats and not earth threats. Truth, they literally did not give her the title of Captain Marvel (for decades she was Ms. Marvel and other titles) nor her now trademark suit (I know many miss the black and gold one piece swim suit, I always preferred the original one that had the belly exposed although the Earth Mightiest Heroes redesign was better) until the same year The Avengers hit theaters and became one of the highest grossing. Plus a dude named Ike was still calling shots and he was more conservative in who he wanted movies to focus on. John Campea’s said he’s spoken to three trustworthy contacts and DARK PHOENIX is “terrible” and “a disaster”. Also that Fox is “in panic” currently and “doesn’t know what to do with the movie”. Hindsight logic for a COMIC MOVIE? Uh scrap it, pay out the actors and be glad you’re out of the Marvel game. Desperation and arrogance will bring this film out. A shame, once again a bad attempt at the Dark Phoenix saga will close off a period of live X Men films. They could have ended decently on Days of Future Past or even Logan but the live action X films will end in a whimper unless New Mutants is good. Remember how I used to update the DOFP/Apocalypse thread almost daily? Oh the folly of youth. With Dark Phoenix being directed by a first timer, Im not keeping any hope alive. But at least people are talking about it. Poor New Mutants seems to have vanished into the ether with its lack of news. Those rumors about it being shunted into Hulu become more plausible with each day. After seeing Logan give a good ending to the XCU, Im just hoping to push Fast Forward on these stragglers and onto MCU Xmen. Black Panther returning to select AMC Theaters for Black History month. Free admission too. Academy Award Best Picture Nominee Marvel Studios' #BlackPanther returns to the big screen beginning February 1st. Fans of all ages can see the movie for free in honor of Black History Month at participating @AMCTheatres. Visit https://t.co/YVJ3KHPDlc for more info. Never try to ret-con a con-man. Just saw on iTunes that Into the Spider-Verse is releasing Feb. 26th. So I imagine blu-day/dvd release will be early March. What’s next… ugly Helen of Troy? 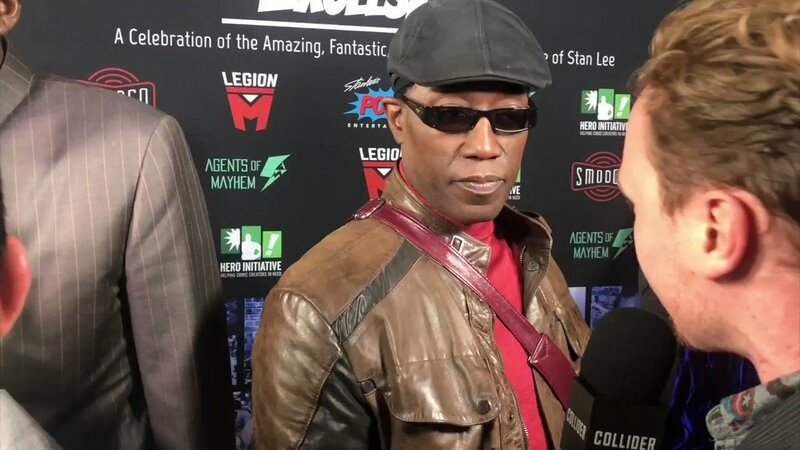 Snipes too old to be Blade. I would make him Whistler if he want to be apart of Blade so bad.